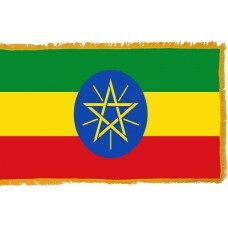 The Ethiopia Flag reflects the country's historic struggles and its location in Africa. 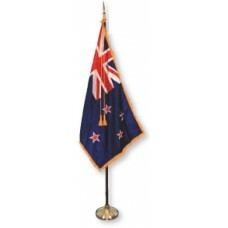 The flag consists of three horizontal bands with a central blue oval. The bands are colored green at the top, yellow in the middle, and red at the bottom. These colors are popular among many African nations. The flag's central blue oval contains powerful symbols of Ethiopia's world view as the blue color is chosen to symbolize peace. The country has a history of conflict, and now looks forward to prolonged peace. Within the blue oval is a five-pointed yellow star and radiating yellow lines. The star represents the diversity of Ethiopia's people, and the lines represent the rays of the sun that shines down on the country. The colors of the flag's background bands are also significant. The green top band reflects Ethiopia's natural beauty and is also intended as a symbol of hope. The yellow, central band stands for peace and freedom of religion. 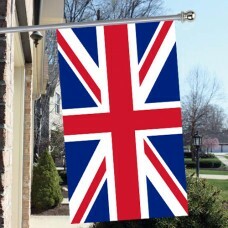 The red band at the bottom of the flag represents the blood of those generations who fought for the country's freedom. 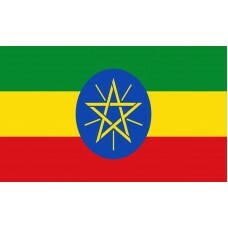 The Ethiopia Flag has been used in its current form since 1996, however, its basic design dates back to 1914 when the country formed its own Ethiopian Empire. Before that, the country had been part of the Italian Empire which was one of the European empires that colonized most of the continent of Africa. Ethiopia was one of the earliest countries to successfully overthrow its foreign colonizers. Its three-colored flag has been used by other emerging independent African nations. One of Ethiopia's most famous heads of state was Haile Selassie. He led the country in fighting Italian Fascist invaders under Benito Mussolini. Not only is he an Ethiopian national hero, he is revered by many people of African ancestry throughout the world. His title was Ras Tafari, with Ras meaning ruler. Rastafarians regard him as the embodiment of God on the Earth. Ethiopia itself is a massive country with huge significance in Africa. The country lies at the north end of the Great Rift Valley, and much of the west of the country is made of up of the Ethiopian Highlands. Lake Tana is situated in this highland area and is the source of the Blue Nile, which flows into neighboring Sudan to merge with the White Nile and form the River Nile. Ethiopia was home to the very earliest human beings. A human skull dating back to 4.2 million years ago was found in the country and the world's oldest intact skeleton was also found in Ethiopia. These have been used to examine the link between early humans and our current species, homo sapiens.